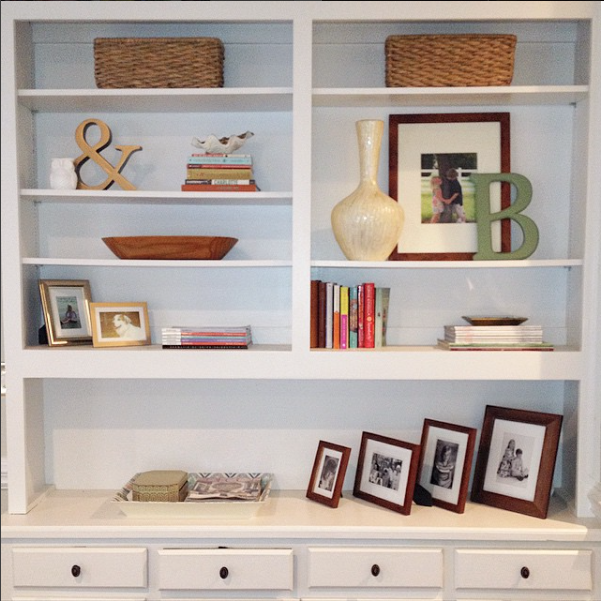 Hey guys, today I thought I'd share a client's family room and the progress we've made updating her Family Room! 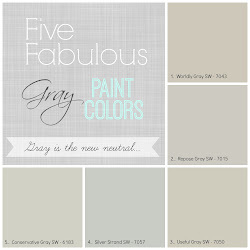 First things first, all my design projects start with a Mood Board. This way both the client and I have a visual, and we're on the same page as the design progresses. 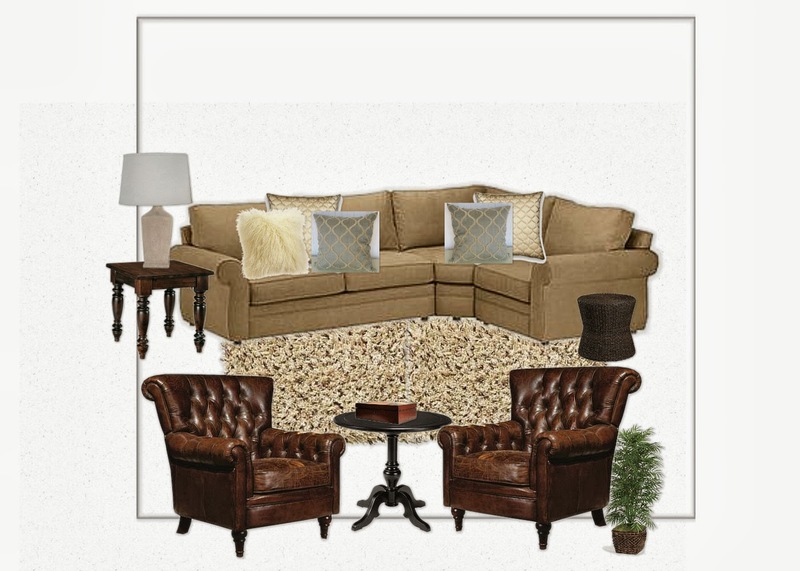 This board below is very simple, but shows the client's new sofa, my choice for custom throw pillows as well as her existing leather chairs which she wanted to keep. Remember the goal is to update this space with a few new furnishings and accessories. The client didn't want to buy everything new again. 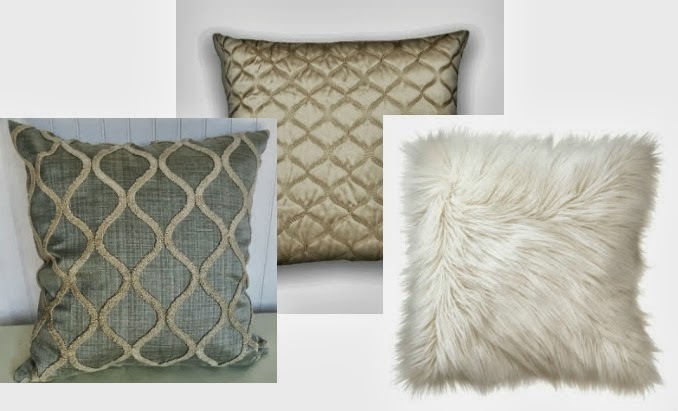 So I recommended purchasing new custom throw pillows, lamps, rug, tables and accessories. She sold her maroon area rug and 10+ year old sectional and ottoman which had seen better days. And splurged on the Pearce 3 Piece Sectional Sofa from Pottery Barn. Instead of the end table and lamp here to the left, we plan to place a console table behind the new Pottery Barn Sectional with two of those matching lamps on top. The console table has been ordered, but not delivered yet. It's the Everett Foyer Table from World Market. The lamp is from Target and is the Threshold Campanula Ceramic Lamp Base and has the prettiest gray crackle finish and balances nicely against the warm beige walls. 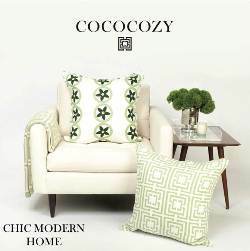 The custom pillows below were ordered from Cody & Cooper on Etsy. Here are pictures from their shop. I love the soft blues and creams which coordinate well with the client's existing window treatments. A cream and brown shag rug has been ordered, but not delivered yet. And this dark wood coffee table was purchased at consignment for just $100. Such a great save next to the new sectional which again was the splurge in this space. This dark wood coffee table is very rustic and coordinates well with the client's beautiful wall gallery of family photos she hung on the right wall. We still need to add accessories for the coffee table and side table. If you look in the above mood board again you'll see there once was a black round table in between these leather chairs. However the table was a bit tall for this area, and also too traditional. So we shopped the house and found this round glass table upstairs in a bedroom - such a great find! It's perfect for this space and adds a touch of lightness and contrast to the room. Okay the room is coming along beautifully and is sure to be an updated, stylish and functional space I know her entire family will enjoy! It looks so great, Jane!!! I love the neutral tones with the leather, such a rich look. I am dreaming of a sectional and I noticed that one from PB is on sale right now. I like the color you chose for it. Thanks Lisa, it's a great family room. So pretty and functional, two of my favorite things! They are great aren't they? And they aren't new. She kept the chairs and purchased a new sofa, rug and accessories. I really like the chairs, Jane! Have a great week! 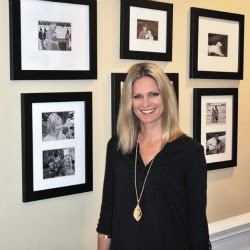 I'm a creative mama x 2 and Interior Decorator with a passion for all things home decor & design. 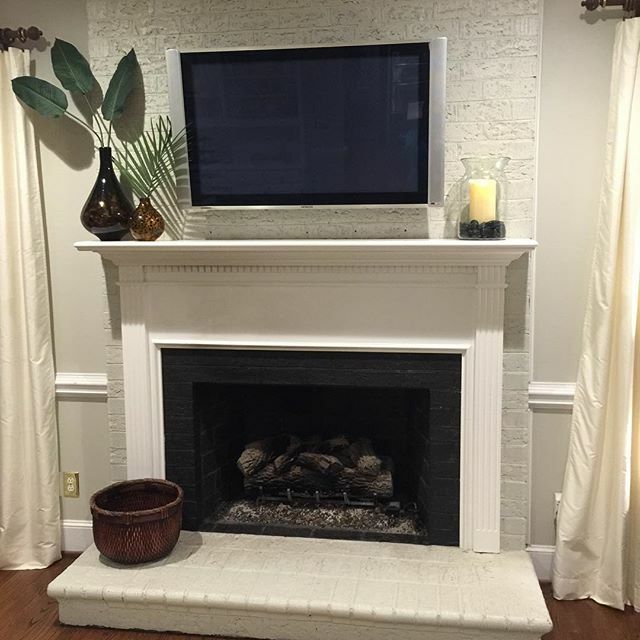 I love designing traditional spaces with modern updates, and getting a high end look - for less!